This book provides that guide. The information in it has been refined over twelve years using feedback from real cancer survivors about what worked for them. 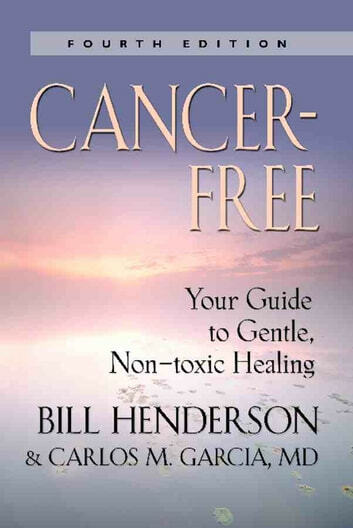 Bill Henderson, one of the authors, has counseled about 4,000 cancer patients by phone and video in 64 countries. At least 3,000 of them have recovered using his information. The co-author is Dr. Carlos Garcia, a formally trained M.D. who has broken out of that mold and trained himself to be a well-informed holistic physician. His Utopia Wellness clinic in Oldsmar, Florida regularly helps Stage IV cancer patients heal themselves. 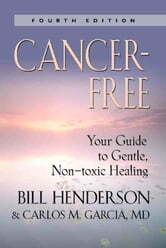 Bill Henderson has published 165 free newsletters on natural cancer treatment to 38,000 subscribers all over the world, starting in 1999. The information in these newsletters has now been incorporated into this, his third book. The book is up-to-date, specific and accurate. Bill and Dr. Garcia inform you of over 140 web sites and dozens of other books and newsletters you can use to expand your knowledge of natural cancer treatment. The self-treatments they recommend are harmless enough that you can start them immediately, without more research, if you like. They do not interfere with conventional cancer therapy, if that is your choice. In fact, they offset most of the side effects of that treatment. "Cancer is not a disease," says Bill. "It is a reaction to what your body has experienced. Reverse those causes and the cancer goes away. Continue what you did to reverse it and it stays away." Low oxygen uptake by the cells. Toxins -- usually caused by diet and dental work. Acidity -- again, usually caused by diet, as well as stress and dental work. Bill Henderson's and Dr. Garcia’s recommended regimen tracks with the knowledge for which Otto Warburg, a famous German doctor and researcher, won a Nobel Prize in 1931. He described the cancer cell and stressed the need to reverse the above four characteristics of the cancer in order to heal it. None of these are addressed by conventional cancer treatment. Dr. Garcia’s mission is to help cancer patients heal themselves starting in a controlled clinical environment and continuing at home. He has been doing this successfully for 15 years. Testicular Cancer, Varicocele, and Testicular Torsion.